Pat Heron has spent decades amplifying women’s voices and fighting for change on everything from domestic violence to food banks to pensions. Alongside her full time work as a clinical support worker at a hospital in Gateshead, she chairs the regional women’s network for UNISON. Pat has four children, nine grandchildren and three great-grandchildren. If I believe something isn’t fair, I’ll go everywhere, knocking on every door. People call me… what’s the word? Tenacious. My Dad believed women should be educated exactly the same as men. He always encouraged us to read and talked politics with us. He was a union man too. I got married young, suffered domestic abuse, and left my partner when I was 23. Now, my passion is more funding for domestic abuse support. People think everyone can access a refuge, but often you can’t turn up after a certain time in the evening. If you’re working a late shift you might have to choose between keeping your job and getting help. And we’re seeing a lot of refuges being closed down because of austerity. I was a single mum, raising four children and working full time. At first I worked nights, and my brother would watch the kids. When I switched to day shifts, three of us neighbours would organise our hours so we could take turns looking after all the children. Looking back in history, every time women come together we achieve so much. I think we’re good organisers, good leaders. 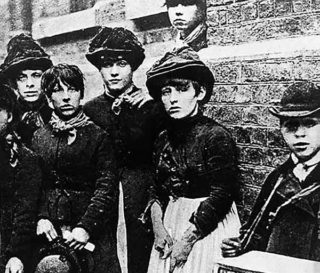 The first organised strike in this country was by the match girls. WASPI [the Women against state pension inequality campaign] started with five women on social media, now it’s a huge grassroots campaign. I’ve tried to get women’s voices heard more at trade union conferences. We need to attract more young people into the unions too, but unions also need to modernise. 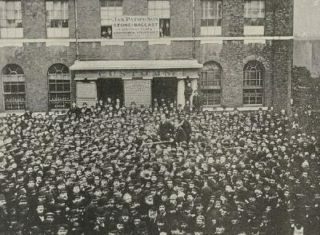 UNISON was set up with equality at its core. We have groups representing black, female, disabled, LGBT and young people. Although we still have a male head, we have the largest female membership of all the unions. We still have a male general secretary though! I like to think I’m standing on a platform, speaking out for women in the union and beyond. I may be the mouthpiece, but it’s about encouraging women to open up and speak out.